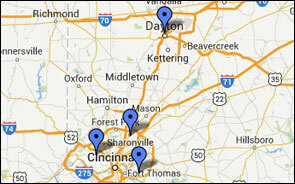 Ryan's Auto Glass has four convenient locations in the greater Cincinnati and Dayton area. That gives you the flexibility you need when repairs are needed. If you can't come to one of our service centers, WE WILL COME TO YOU! Ryan's provides mobile service to your home or place of business. And, we get there fast. Same day or next day service is standard. Ryan's Auto Glass has 24-hour service if necessary. We provide a written warranty that covers our products and workmanship for as long as you own your vehicle. Register for continuing education classes below.